HR&A recommended a bold strategy to revitalize Cincinnati’s Downtown, then worked with corporate, civic and governmental leaders to establish the Center City Development Corporation (3CDC), which has so successfully led the transformation of Fountain Square and Over-the-Rhine. HR&A designed and supported the creation of 3CDC, a public-private development corporation, to steward revitalization and on-going development in Downtown Cincinnati. 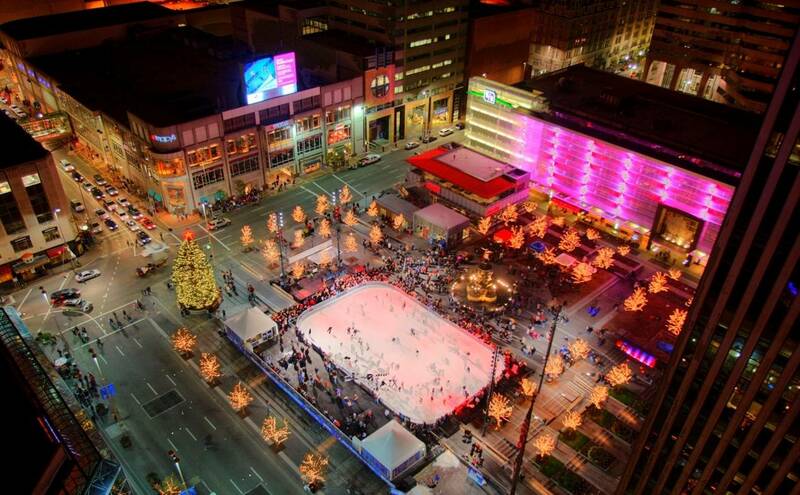 In 2004, 3CDC, in partnership with the City of Cincinnati began a two-year, $49 million renovation of Fountain Square. The completed project has brought people back to Downtown Cincinnati in record numbers, has spurred investment of over $125 million in additional private investment in the Fountain Square District, and continues to serve as a catalyst for new residential, retail and restaurant development in the region. HR&A worked as the real estate and public policy advisor for the planning of Cincinnati’s Downtown. Working in partnership with the City of Cincinnati, Downtown Cincinnati, Inc., the Cincinnati Business Committee, and master planning firm Cooper Robertson & Partners, HR&A crafted a strategic investment plan that addressed a number of Downtown planning and development issues, including enlivening Fountain Square. Fountain Square, the traditional heart of Cincinnati suffered from poor design, an absence of programming and lack of maintenance, resulting in a void of life and activity Downtown. HR&A helped to create 3CDC to guide the redevelopment of the Square, conceived of an innovative financing structure, framed a programming strategy, and shaped the redesign of the public plaza. In the years since, 3CDC has proven to be a successful public-private partnership, serving as the principal advocate and steward of Downtown and its core assets. HR&A also provided strategic implementation direction for revitalization of the city’s most troubled neighborhood, Over-the-Rhine. Over-the-Rhine, the site of riots in 2001, was crippled by residential and commercial disinvestment, a lack of retail options, and entrenched crime. In response, HR&A recommended a range of interventions including targeted public sector investments such as the redevelopment of its signature open space, creating new parking options, and buying and rehabilitating deteriorated multifamily housing units. We suggested a robust public-private partnership to facilitate reinvestment throughout the neighborhood, plus a regulatory system with revised design guidelines to create a physical sense of identity by complementing and celebrating the neighborhood’s historic architectural fabric. Today, Over-the-Rhine is enjoying a startling turnaround and is heralded nationally as a success story in neighborhood revitalization. Over-the-Rhine is now the center of Cincinnati’s thriving arts community, historic buildings have been renovated into a variety of housing and retail options, major new mixed-use projects have recently come online, and crime has decreased substantially.